We love the service Viollaz offer, giving couples a perfect ‘in-between’ to either handmade expensive stationary and free e-invites. 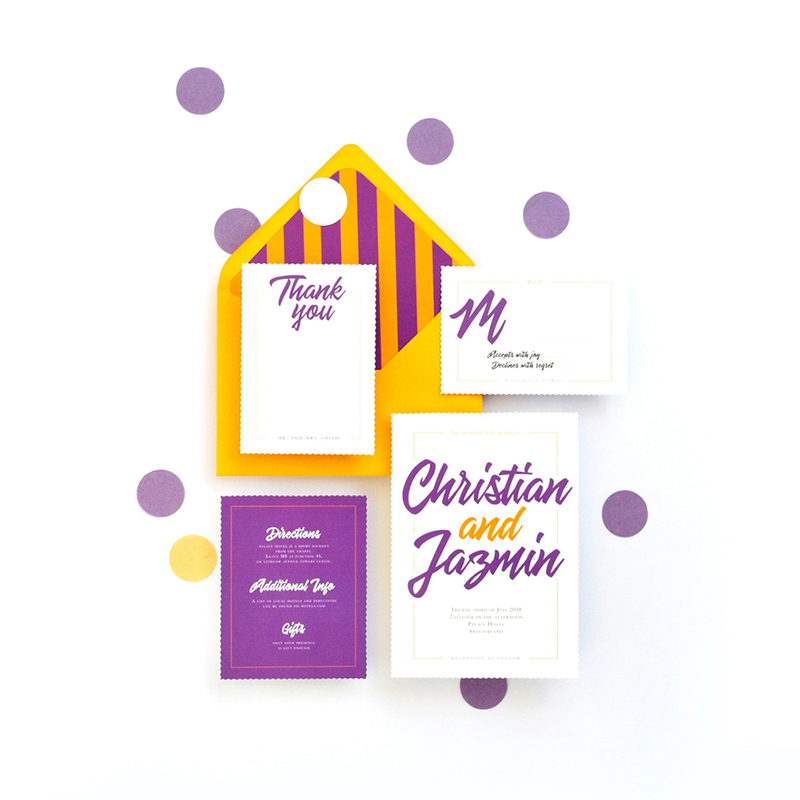 This Glasgow-based wedding stationary company provide wedding invitation suites that are sent as a downloadable file, allowing people to print their own invites designed by a professional graphic designer. I wouldn’t say I have one style, I try to offer a wide range of styles - like boho, romantic and modern. I think that every couple is unique, and I like to create bespoke ideas to make sure I have something that suits everyone. 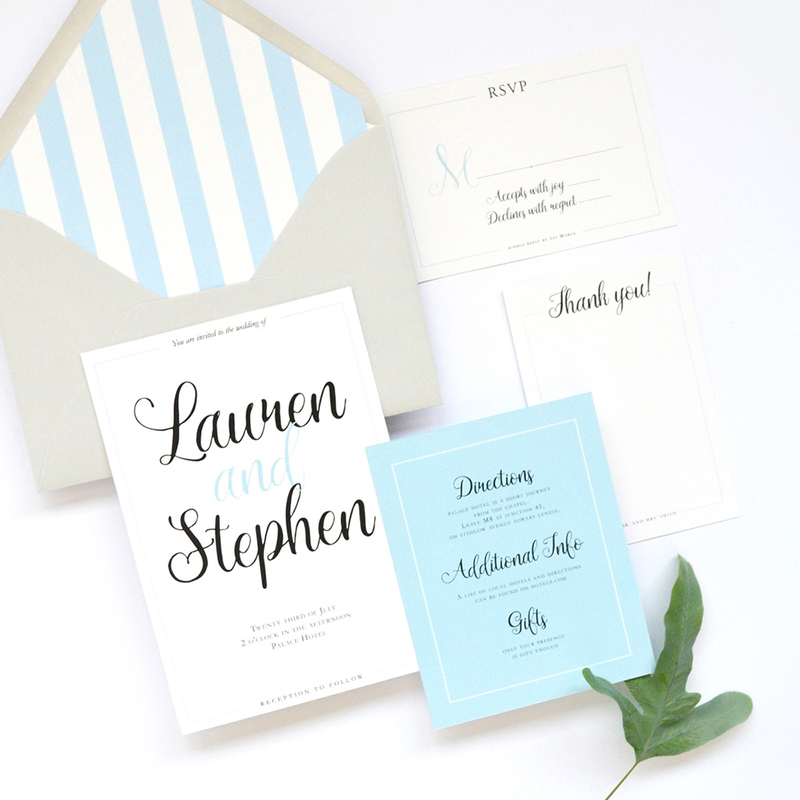 I offer a speedy and affordable way to source wedding stationery on my Etsy shop. Customers are sent a printable template which they can then print themselves. My packages include ideas and advice on ways to get the best final look, so that people get that professional finish while retaining a beautiful homemade feel. There are so many different things I love about what I do! As a graphic designer, I love typography, colours, patterns, textures, photography and anything that can communicate a feeling with visuals. I love to work on combining papers, textures and different materials to create a final product. I love being part of the first announcement a couple will make to their friends and family. I love being part of their of happiness and memorable day. And I really enjoy creating something with my hands, and getting the best result for my couples. The wedding is the end of a long process, I would say that I love it all – but especially the ideas, feelings and experiences that the couple have on the run up to their "big day”. These experiences are a good way to learn about the couple; how they manage stress, making decisions and the way they manage priorities during the wedding planning process. But if I could choose a moment during the wedding I think it would be when you are in front of everybody to say your vows, that moment when you can’t believe you’re finally marrying your best friend is like a dream come true. Where do your prices start? 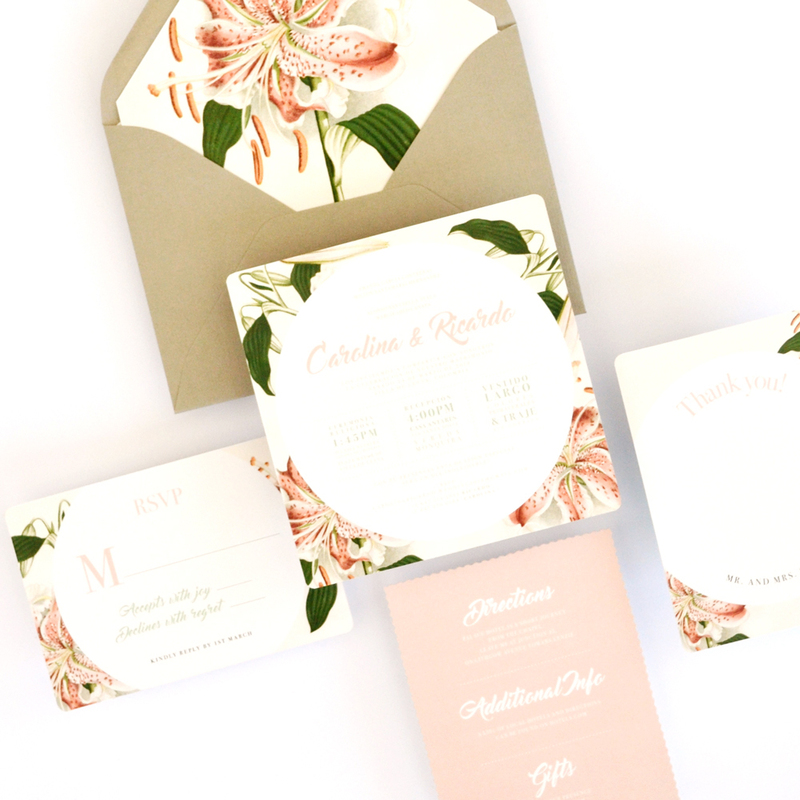 Prices depend on the quantity of invitations or designs needed. Prices start from £4 pounds for invitations (10 units minimum), but we also offer printable templates, and those start at £11. You can find me on Instagram and also on my Etsy Shop.